Today I’d like to introduce you to a very interesting lady, author, Betty Bolte. Welcome to Creekside Café, my fantasy job, where I get to look out over the Pamlico River and talk to authors like you about books and writing, while drinking coffee or something a little harder. I’m just recuperating from the Pamlico Writers’ conference, so something a little harder it is. Betty and I met online through the Romance Writers of American Professional Author’s Network. It’s good to have you here, Betty. Betty: It’s a lovely day to chat with you, Sherri. While I’ve never resided in North Carolina, being near the coast again feels like coming home. I was born in Baltimore, Maryland, and grew up in a small town west of the city, Eldersburg. But we often drove down to the Eastern Shore to the beach for the day. Sherri: Well then, you’re almost home. Do you live on the east coast now? Betty: Sometimes. We own a week of timeshare at Myrtle Beach, South Carolina, and Ocean City, Maryland. Hubby and I went to Charleston, SC twice for research and to enjoy the delicious food! We’ve also visited Asheville, and last year I went to Tryon (western NC) for the World Equestrian Games with my daughter and her friends. Now I live in Alabama, but I’ve also lived in Virginia, Indiana, Georgia, and Tennessee. Sherri: Do you write full-time or do you juggle another career as well as write? Betty: Now I write full time, but that’s only been since 2012. Prior to that I either worked full-time or freelanced as a technical writer/editor for corporations and individuals. I also wrote for the local paper while we lived in Indiana, both articles and a column on the sandwich generation as we lived it in our home. My dad lived with me and hubby and my two kids for seventeen years. Lots of material there! Betty: I started writing as a child and have worked with words ever since. My jobs have always centered on writing: as a secretary, freelance word processor, temporary secretary, then as a freelance newspaper stringer, magazine article writer, columnist, and ultimately as a technical editor/writer. Now I focus on writing fiction. Sherri: You must truly love writing, what is your favorite part of writing? Betty: Everything. Crafting a sentence that exactly captures the message or feeling or experience so that others can share what I or someone else is trying to convey. That applies to nonfiction, technical, and fiction writing, by the way. All writing is an act of sharing our inner thoughts and other information. Inventing fictional places and people that represent what’s happening in my imagination is so satisfying, too! Sherri: Is there anything about writing that you despise or barely tolerate? Betty: Sloppy and vague sentences and incorrect word usage. Like using “reign” instead of “rein”. That kind of incorrect usage. Sherri: I hate when I make simple mistakes and of course spell check doesn’t catch them because they are spelled correctly even if not used correctly. What’s worse is when they get past the Beta readers and editors. It makes me want to sob into my wine, or would that be whine in my wine? Betty: Speaking of wine, make mine a chardonnay. I enjoy some in the evening to help me unwind after a busy day of writing and trying to market my books. Sherri: Unfortunately, there is so much business an author has to handle, when do you find time to write, check emails or just visit with friends? Betty: I typically write in the morning, from about 8 until noon on most weekdays. Afternoons during the week I may meet a friend for lunch, or have appointments and errands to run. I have a weekly workout appointment, for example. Lately, I’ve been physically able to take walks again, which makes me happy. Sherri: I’ve recently started walking again. I believe it’s important to get our exercise since much of our job is spent sitting at a desk. You have been writing a number of years. Tell us about your writing journey. Betty: I’ve been published since 1994 in nonfiction by Macmillan, Chelsea House, and Mason Crest publishers. My first paranormal romance was published by a small, digital press, Liquid Silver. My historical romance series is published by a hybrid press, ePublishing Works!. My paranormal romance series, Secrets of Roseville, are all indie published. My agent is currently shopping some historical fiction to traditional publishers. So I’ve been published in most ways possible. Sherri: That’s only the synopsis, now tell us the rest of the story of how you became published. Betty: It’s been a convoluted path! I started writing articles for the local paper in Indiana, as a stringer which is a freelance journalist, in the early 1990s. Sherri: I, too, wrote for a local paper when my youngest son was in middle and high school, but you turned it into a book writing career. Tell our readers how that came about. Betty: I covered the school board and park board meetings, and so got to know other local authorities. One of them liked my writing and suggested to an editor at Macmillan that I might be able to write for them. Specifically, the editor contacted me looking for someone to write how to use the then new version of dBase V database software. Along with my computer analyst husband, we wrote several chapters in different books on that topic. So, I had clips from the newspaper articles and then credits from being published by a traditional publisher. But I really wanted to write fiction, which proved more challenging for me to master than nonfiction. So in the meantime, I decided I’d apply for a job at a children’s magazine to be their editor. They informed me I needed at least a bachelor’s degree in English to qualify, so I went back to college at Indiana University. I paid my way through by freelancing as an editor and graduated in 1995. During this time, I heard of a book called Susan B. Anthony Slept Here which is a compilation of all of the places where women have a landmark in America. Reading that book brought to light the number of girls who have landmarks, and ultimately led to me writing Hometown Heroines, which I ended up self-publishing in 2001 because despite having two different agents they and I couldn’t find a publisher who would take the combination of historical fiction and biography. I republished it in 2012 as Hometown Heroines: True Stories of Bravery, Daring, and Courage, with ePublishing Works!. The book won a gold medal in 2014 from the Children’s Literary Classics organization. Sherri: I will have to look it up. I love history and I have a herd of grandchildren. My older granddaughters would probably enjoy reading of heroic young women from history. What else have you accomplished? I’m in awe. You have an amazing resume. Betty: My father-in-law was contacted about writing books for a young adult audience as work for hire on horses while we were living in Georgia, but he referred them to me since we owned horses for my daughter to ride and compete in three-day eventing. The man was aggregating the entire Horse Library and needed help with a couple of horse books, which ended up being Jumping and Dressage, then turned around and asked me to write some school club books, which I did on how to form a foreign language club and a crafts club at school. All along, I had joined RWA and my local chapters (in Indiana, Tennessee, and Alabama) and took classes/workshops on writing fiction, read books on writing fiction, working to write the best story I could. I entered contests to get feedback and find out where I needed to improve, too. In 2006 I went back to college to get a master’s degree in English while I was working as a technical editor/writer for SAIC at NASA’s Marshall Space Flight Center in Huntsville, Alabama. I graduated in 2008 and continued working until 2012, when I was able to finally quit working full time because my father had passed and both of our children were graduating with their bachelor degrees. We no longer needed the extra income to cover assisted living and tuition expenses, but could make do on my husband’s salary. Finally, I could really work on my fiction and not be distracted so much with technical and nonfiction writing and editing. In January 2014 I did a Twitter pitch #pitmad about a paranormal romance called Traces (a story I originally wrote as part of my master’s thesis, but that’s another long story!) which was picked up by Liquid Silver and released in April 2014. Then pitched a sequel, Remnants, which I wrote over the summer and released in October 2014. I contacted ePW early in 2014 about publishing my historical trilogy, A More Perfect Union. They reviewed the stories and agreed there was a market so they put them on the market for me. Emily’s Vow and Amy’s Choice both released in October 2014. So I suddenly went from not having any fiction published to having 4 books out in one year! Three of them in one month! The third book, Samantha’s Secret released in April 2015. The publisher asked me to add another book to make the trilogy into a series, so the last book in the series, Evelyn’s Promise, released in January 2016. Sherri: That must have been exciting and a bit overwhelming. I can’t even imagine how you handled the promotions of three books in one month. Betty: It was stressful but very exciting. Then when I received the publication rights back from Liquid Silver after two years, I indie published and re-released Traces as Undying Love in January 2017, and Remnants as Haunted Melody in March, and added The Touchstone of Raven Hollow in May. 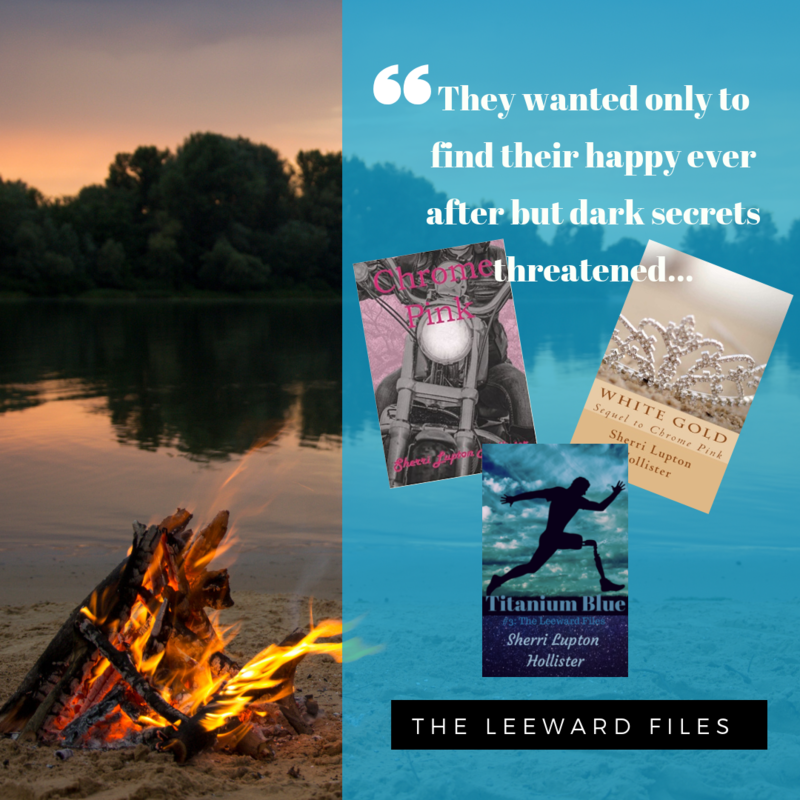 In December, I released a prequel (indie again) to the Charleston series, Elizabeth’s Hope, which introduces the other four books. The fourth book in my Secrets series, Veiled Visions of Love, released in September 2018. The fifth and last book in that series, Charmed Against All Odds, is part of a joint Common Elements Romance Project with over 100 other romance authors and is scheduled to release in November 2019. Sherri: Wow, I’m nearly speechless. You have had an amazing career. So what’s next? What are your plans for the future? Betty: I’ve just finished writing the first book in a new supernatural historical fiction series, Fury Falls Inn, which is called The Haunting of Fury Falls Inn and will release in October 2019. It’s set in 1821 in northern Alabama and I’ve been having a lot of fun learning more about the history of this area where I’m currently living. I have 5 more books planned in that series. I’m toying with the idea of a historical romance trilogy set in Charleston again but on a thoroughbred breeding farm. I also want to research how my ancestors served during the Revolution and write their stories. Sherri: You mentioned a husband, he must be very supportive of your career. How long have the two of you been married? Betty: I’ve been married to my husband for 32 years this July. Sherri: That’s funny, my husband and I will celebrate 28 years this July. I don’t know how you’ve accomplished all you’ve done with raising a family, surely you’ve had no spare time for hobbies or other interests? Betty: I love to walk and hike, read, crochet, embroider, and travel. I’ve included hiking in book 3 of the Secrets of Roseville series, The Touchstone of Raven Hollow, where the couple go hiking and stumble into an enchanted valley. The situation they find themselves in was inspired by an Irish myth and reflects my eclectic reading interests, too. Of course, I am a huge fan of American history, especially the colonial period and American Revolution, which is why I wrote the A More Perfect Union series set in and around Charleston during the Revolution. And I’m fascinated by the concept of ghosts and have experienced unexplainable happenings in my home from time to time, so I like to write about ghosts, too. Sherri: I am in awe and a bit intimidated. I cannot imagine you have in weaknesses in your writing. Betty: I’m always working on one aspect or another of my writing tools. Setting is a big strength and I think having unique characters. I’m also known for my research skills to ensure my historicals are as accurate and authentic as I can make them. Weaknesses include dialogue – I never think it’s snappy enough – and finding a good balance between action and introspection. Sherri: Who are your favorite authors and genres? Betty: I read widely and sample many different authors and genres. I tend to read more historical fiction/romance and paranormal, but I also mix in some classics and mystery from time to time. Of course, I do read a lot of nonfiction (books and online sources) as I research my stories, contemporary or historical. Sherri: Is there someone who has influenced your writing? Betty: I learn different techniques and approaches by reading so widely. So I don’t think any one or handful of authors have influenced my writing, but all of them have contributed to how adjustable I can be to match message to audience. Sherri: Our time is running down, but I hope to be able to sit and chat with you again real soon. Perhaps we will have the chance to meet in person one day? Betty: Hopefully we’ll meet in person at the conference one year. I’m not going to NYC this year, but will definitely attend the Nashville conference in a couple years as it’s so close to where I live in northern Alabama. Sherri: You can connect with Betty through her website or blog, or find her on social media, and don’t forget to check out her books either at her website or Amazon author page through the links listed below. Thanks again, Betty, for sitting on the porch and chatting. It’s been lovely.